Drawing is full of fundamental techniques that will improve how you create art. And if you like to draw realistically, understanding these methods is vital. Perspective is one of these approaches that will help you become a better draftsperson—especially when it comes to architecture. 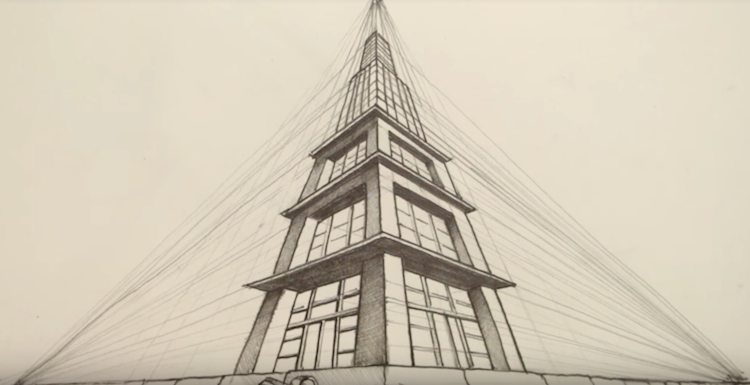 What is perspective drawing in art? 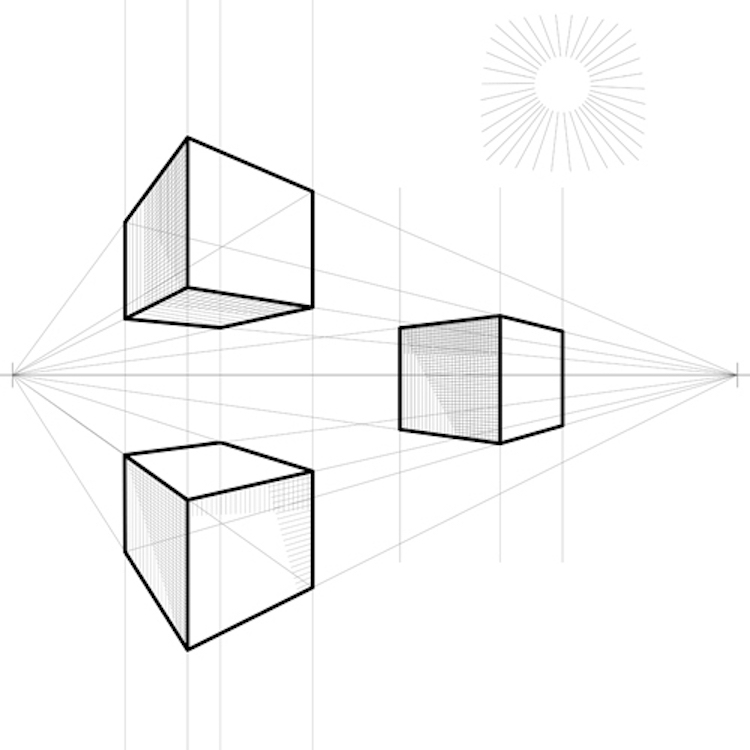 Perspective drawing gives objects on a 2D surface a sense of three-dimensionality. There are two types of perspective: linear perspective and atmospheric perspective. When we talk about one, two, or even three-point perspective, we’re talking about linear perspective. It’s a method of representing space in which the scale of an object diminishes as the distance from the viewer increases. Essentially, objects that are farther away from us appear smaller than those that are near. The position at which they meet at a horizon line (the intersection of where the ground meets the sky) is called the vanishing point. Linear perspective might seem rudimentary but it wasn’t until the Renaissance that it had a name. In 1413, Italian architect Flippo Brunelleschi began developing linear perspective and the method that many artists use today. He started by painting the outlines of Florentine buildings in a mirror and saw that when the structure’s outline was continued, the lines ended on the horizon line. Brunelleschi’s discovery was a major influence on artists at the time. Many years later, his friend Leon Battista Alberti penned De Pictura, the first treatise on linear perspective that explained how to correctly show distance in a painting using mathematic principles first proven by Euclid in ancient Greece. One of the best illustrations of single-point perspective is to imagine that you’re looking at a straight road. 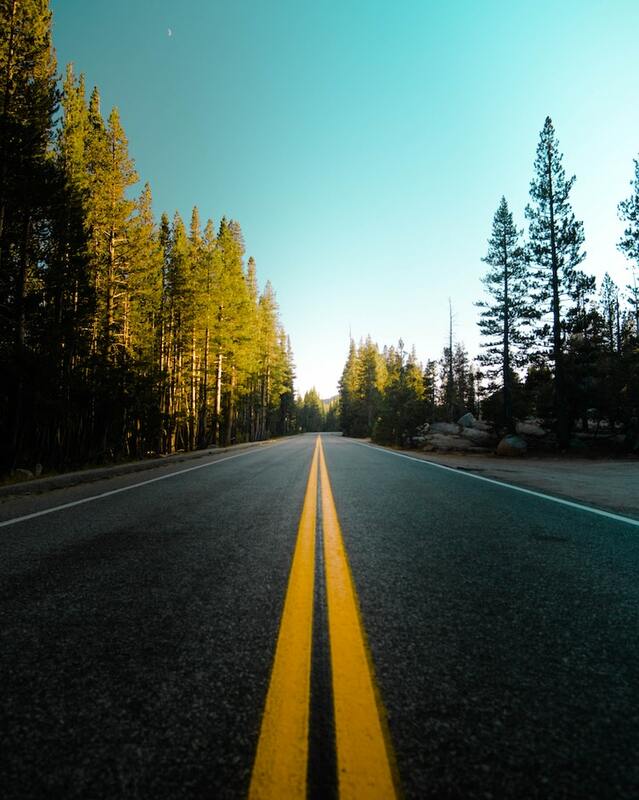 All of the elements of the composition—particularly the road itself—will converge at a single point on the horizon line. Single-point perspective can be at any point along the horizon line; the only stipulation is that all lines lead to the solitary point. Although elementary, it is evident in iconic works of art. 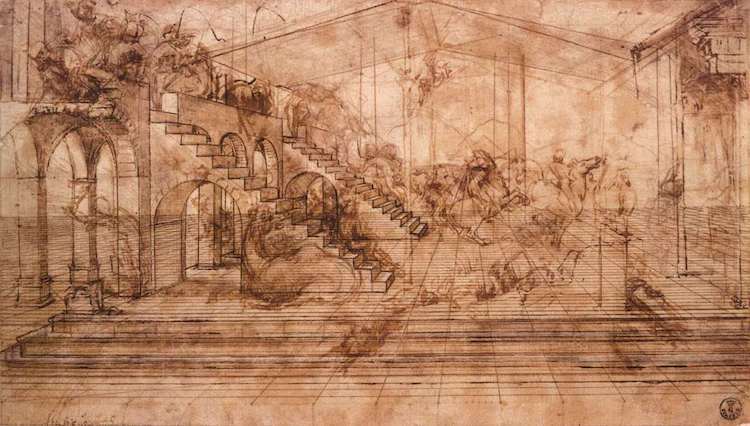 Leonardo da Vinci best exemplifies this in his perspectival study for The Adoration of the Magi around 1481. This incredible sketch demonstrates the great lengths that da Vinci went through to determine the focal point of the piece. Notice how the lines, from the steps to the arches, all converge at the same spot on the horizon line. Just as one-point perspective focuses on one vanishing point, two-point perspective ushers in a second one. Typically, these two points are at the opposite sides of the composition, such as one on the far left and another on the far right. Three-point perspective, also called multi-point, is a type of perspective that has more than two vanishing points. This is common, especially as the complexity of the subject matter grows. A standard setup features two vanishing points on the far left and far right of the composition and then the third point below them. In doing this, you get a bird’s eye view to the subject. If you were to place the third point above the two vanishing points, it would create an extreme view looking upwards. 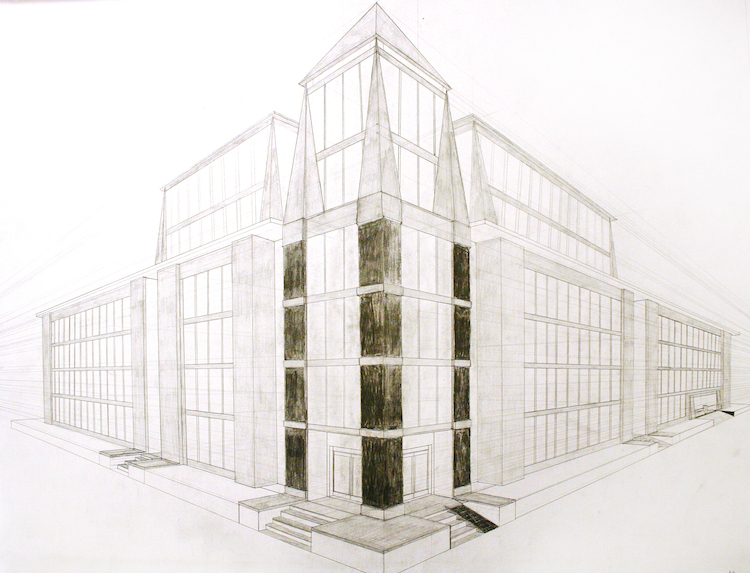 The post Learn the Basics of Perspective to Create Drawings That Pop Off the Page appeared first on My Modern Met.